For over 30 years, Unique Maintenance, Inc. has provided a growing list of maintenance-related services to residential, industrial, commercial, and financial institution customers. Our customers appreciate that they can rely on our well-trained, professional and dedicated team. 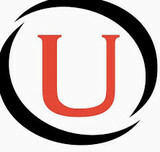 Unique Maintenance, Inc. is a company that specializes in Professional Cleaning and Maintenance Solutions to fit any client’s needs. We attribute our high levels of customer service satisfaction to our implementation of detailed attention, quality service, and workmanship applied to each project. The combined efforts of these skills and the applied knowledge of each client’s personal requirements is what make Unique Maintenance the preferred choice by an increasing number of satisfied clients. Our innovative workflow and competitive quotations are designed to give prospective clients complete confidence in our services. Reduced costs do not necessarily mean a cut in the quality of service. If it is perfection you are looking for, let Unique Maintenance put our resources to work for you…We successfully cover all Central and Southern California Coast. We make it our business to gain a clear understanding of your needs, taking note of any specific cleaning techniques required, identifying any areas causing concern and noting any high profile areas. We appreciate that we are only as good as our staff and can only expect to get their best if they are treated with the respect they deserve and are given a safe working environment in which to operate. This we ensure by our constant in-house monitoring procedures and auditing programs. We are experts in cleaning, polishing, honing, grinding, repairing and sealing of Natural Stone, marble, Travertine, Terrazzo, Limestone, Granite, Slate, Tile and Grout. We provide restoration, preservation and maintenance for all your natural stone surfaces. @ Precision Stone Restoration we focus providing an all around great experience for our client's, from the time they schedule there free quote to the very end when the project is complete and they have the peace of mind knowing that we stand behind our services and that we are always a call away. 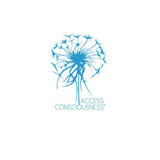 Access Consciousness is a life changing company who provide the various classes, tools and techniques that allow you to change anything in your life. Providing Expert Services Since 1993 We have over 21+ years in stone polishing, honing, grinding, cleaning and sealing any natural surfaces; Marble, travertine, Slate, Granite, and Limestone. With over 30 years of experience, we take all the worry out of natural stone care and restoration. 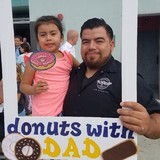 We serve clients in Beverly Hills, Rancho Palos Verdes, Palos Verdes Estates, Hermosa Beach, Manhattan Beach, Redondo Beach, Torrance, El Segundo and surrounding areas. Welcome to Great Scott Maintenance. We provide floor care services for commercial, residential & industrial flooring in the Huntington Beach, CA area. We are fully licensed, insured, and committed to providing quality services at competitive prices for local homeowners and businesses. Our flooring services will instantly enhance the appearance of your home or business and save money on the cost of replacement. We offer floor care services for all types of flooring, including tile, vinyl, hardwood, and concrete. There is no need for expensive tile installation & restoration with our expert cleaning services. We offer tile and grout services for Italian, ceramic, terrazzo, Solarian, marble, porcelain, and slate tile. If you are unhappy with the color of the grout, we offer grout coloring services with many light and dark color options available to create the look you want. 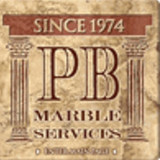 In addition to flooring, we offer cleaning services for marble and granite kitchen/bathroom countertops. Our countertop services include cleaning, restoration, sealing, polish, and maintenance to restore the finish and extend the life of your countertops. We also provide professional fireplace, paver & natural stone cleaning services. We here at Natural Surface Restoration specialize in bringing the life and protection back to all the natural surfaces in your home or business. Everything like your wood floors, ceramic tile and grout cleaning and color changing, travertine, marble, granite, limestone, sandstone well you get the idea! From simple cleaning, maintenance and sealing to removing stains or etch marks, bringing back the lost shine or getting away from the shine to a honed or natural look, lippage removal/flattening of your improperly installed floor, restoring and treating your granite counter tops (something most don't think about) we take care of it all with the best products and treatments available on the market. We refuse to use sub par sealers and cleaners. We strive to give you the best possible process on the beautiful and quite expensive materials you have invested in! Since 1985 Regrout Systems has been helping Southern California home owners save money and while increasing the appeal and value of their homes and commercial properties with our affordable professional Grout Cleaning, Tile Repair, Tile Replacement, Regrouting and Recaulking services. Regrout Systems is family owned and operated and has been driven to do our part to keep our community shining and our neighbors satisfied. We're at your service for all of your tile repair, cleaning, regrouting and leak repair and prevention needs. Whether you have a few small cracked or chipped tiles, or need the whole bathroom or kitchen regrouted and cleaned Regrout Systems is at your service with friendly service, affordable rates, and quality workmanship that you can depend on. Don't spend a penny until you give us an opportunity to show you what we can, and love to, do.! We Will Not Be Undersold! 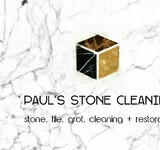 What can I expect from a professional stone cleaner in Thousand Oaks, CA? Find a Thousand Oaks natural stone cleaner on Houzz. Narrow your search in the Professionals section of the website to local stone cleaners in Thousand Oaks, CA and read reviews and ratings to find one that fits your needs.